tl;dr: After March 31, sponsorship payments sent to WordPress Foundation accounts will be returned to sender. Please send revised payment instructions to any sponsors who have not yet paid. 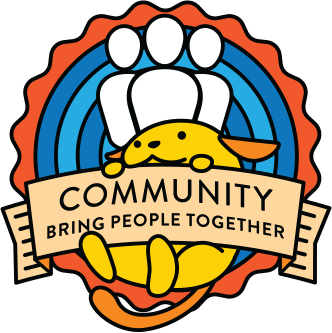 Since January, we’ve been working on switching all operations related to official WordPress event organizing to the new subsidiary of the WordPress Foundation, which is a public benefit corporation called WordPress Community Support, PBC (WPCS for short). Now that we finally have banking set up (mostly) the way we want it, we’re ready to start using WPCS for everything. This will affect the organizing logistics related to sponsorship, collections, ticketing, vendor contracts (including non-profit discounts), and insurance. One of the main advantages to the change from the WordPress Foundation (a non-profit) to the WPCS (a public benefit corporation) is that the rules around sponsoring official WordPress events are much simpler. The people involved in overseeing the program have updated sponsor rules accordingly, to eliminate the barriers to value-adding stuff like direct links, discounts, and calls to action, while keeping the ones that helped us form such a trustworthy, community-focused sponsor program, like the rule about not using superlatives or unprovable claims. A list of the updated sponsor rules for WordCamps can be found in the handbook. As of today, please use the Sponsor Invoices tool for any new sponsor you need to invoice (if you’re using WPCS as your legal and financial entity). This will ensure that all sponsors receive the most up-to-date payment instructions. If you have invoiced a sponsor using the Foundation’s payment info and have not yet received payment, please send revised payment instructions to that sponsor. Please strongly encourage your sponsors to pay electronically (preferably via ACH or wire transfer) whenever possible. It’s the very fastest way for us to collect and for sponsors to get credited for their support of WordCamp. On March 1, we changed the PayPal account that’s connected to CampTix from the account owned by the WordPress Foundation to an account owned by WPCS. Still awake and reading? You win a gold star! This. Is. Awesome. I feel like this is going to significantly reduce the time we spend on administrative tasks. Huge kudos to everyone involved in making this happen! Hi @andreamiddleton! I think this will/could be the solution to the tax problem we talked about in Philadelphia. Am I right? This would be indeed awesome! 🙂 Great work. Hi @zodiac1978 — yes, I’m currently talking to some VAT experts to figure out how to set things up correctly for operations in the EU. They’re confident we can get fixed up, which is nice to hear. 🙂 We’ll keep everyone posted! Thank You @andreamiddleton, we appreciate all that you do. Will this affect how venues / donators remit their taxes at all, IE donation to a non-profit vs a profit? Thanks Jenn! This will mean that WordCamps will no longer be eligible for non-profit discounts from vendors. This also means that WordCamp sponsors will not be able to claim a tax deduction for sponsoring WordCamps. Thanks, and I see in our Training meeting today “There is also a corresponding Handbook page going in on the Community site,” said @chanthaboune. @andreamiddleton A venue is requesting documentation to verify the NPO/subsidiary status of WPCS, as well as the insurance certificate. How can I get this stuff?